GURNEE, IL ­– December 17, 2018 – Nosco, Inc., a subsidiary of Holden Industries, Inc., announced today that it will continue its digital print leadership and serialization initiatives through a strategic partnership with global health and wellness company Isagenix International. Through this partnership, the Chicago-based printed packaging provider will incorporate HP Indigo brand protection technologies across Isagenix’s new digitally-printed cartons, labels and multi-panel labels. 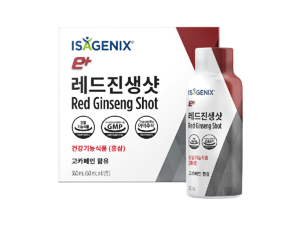 Earlier this year, Isagenix entered the South Korean market. To support this endeavor, Nosco’s Solutions Engineering team worked to incorporate multiple languages and serialization features on Isagenix’s digitally-printed packaging components. “Our goal is to help Isagenix simplify and strengthen the battle against product diversion, while providing best-in-class packaging support,” said Natural Health Market Leader Brent Anderson. Isagenix’s packaging components were printed utilizing the HP Indigo 30000 Digital Carton Press, and the HP Indigo 6600 Digital Label Press. Serialized 2D data matrices and variable barcodes were implemented for track and trace capabilities during the company’s latest market launch in South Korea. Every year, over $1 billion worth of product is diverted in the marketplace, impacting thousands of businesses. This causes damaged distribution relationships, tarnished brand reputations, consumer confusion and tampered-with or expired products. No matter the sales model, product diversion has the ability to cause channel erosion and lost sales. Luckily, combating these issues is easy through proven solutions from a trusted provider like Nosco. Nosco is a large Chicago-based printer with six sites across the United States. The company specializes in printed packaging for the natural health, personal care and pharmaceutical industries, and currently serves more than 30 customers with print security solutions, including overt barcodes, microprint and other innovative print technologies. To learn more about Nosco’s products and services, including those utilizing HP Indigo technologies, visit www.Nosco.com or contact Nosco’s Business Development Specialist Trey Williams at 847-360-4815. Nosco is a full-service packaging solutions provider with a vested interest in the long-term success of its 400+ customers. With more than 110 years of experience, Nosco brings together business resources and technical expertise to better understand packaging challenges and deliver customized solutions. The company focuses on service to help continuously improve efficiencies related to supply chain, cycle times, lean initiatives and product launches. Nosco is a subsidiary of Holden Industries, Inc. and is 100% employee owned.